It’s been called one of the first great moments in the history of American pop culture and the show that first brought rock ’n’ roll to a mass audience. 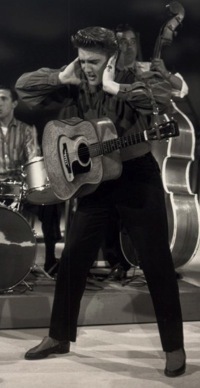 Elvis Presley’s first appearance on The Ed Sullivan Show on September 9, 1956, brought the singer’s meteoric career to an apex just over seven months after he had burst on the American cultural landscape. Just when Presley’s road to the Sullivan show began is a matter of perspective. 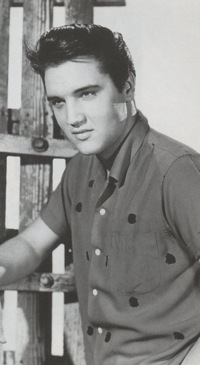 Some would say it was in the early months of the year when Presley’s six national network appearances on the Dorsey brothers' show first made the American public take notice of him. Elvis took another big step upward when Milton Berle featured him on his variety show on April 3 and June 5. 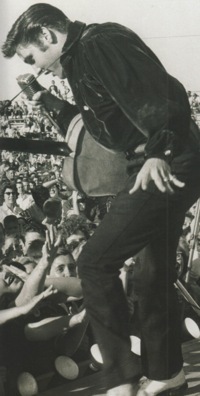 The second Berle show, in particular, forced the American press to comment on Presley’s image and racy style. Elvis’s “bumps and grinds” while performing “Hound Dog” drew near unanimous outrage from newspaper columnists around the country. At the time, Ed Sullivan gave Elvis a little cover—in a roundabout kind of way. “I don’t know why everybody picked on Presley,” Sullivan said. 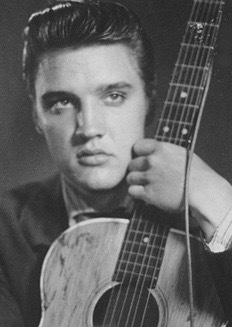 “I thought the whole show was dirty and vulgar.” Later, though, it became obvious that the controversy generated by that Berle show soon led to Elvis’s next network TV appearance. Steve Allen stood up to sharp criticism from Presley detractors when he booked Elvis to appear on his new NBC Sunday night show on July 1, 1956, opposite The Ed Sullivan Show on CBS. When he shackled his guest in tails and had him participate in a hillbilly skit, he drew sharp criticism in turn from Presley supporters. 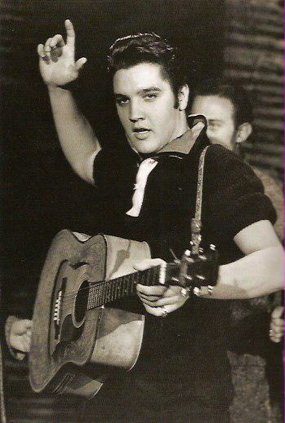 In the immediate aftermath, Ed Sullivan publicly denied interest in having Elvis on his show. “I wouldn’t have him on my show at any price,” he famously declared. “He’s not my cup of tea.” But the overnight TV ratings caused Sullivan to do an aboutface. Quietly, though, he was pursuing Elvis. 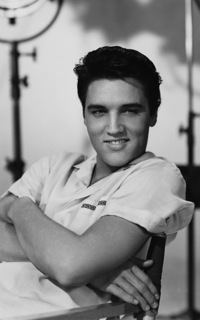 He watched kinescopes of Presley’s appearances on the Dorsey and Berle shows. Satisfied that there was “nothing objectionable” in Elvis’s stage behavior, he contacted Colonel Parker and opened secret negotiations. Meanwhile, Steve Allen, who had no agreement to get Presley for another show on NBC, clearly wanted him back. Publicly, he seemed to have the inside track, since RCA Victor, the singer’s recording label, was a sister corporation of NBC. It came down to who would pay the most to get Presley. Allen refused to shell out more than $7,500, which was top dollar in the industry at that time for primetime guest shots. Ed Sullivan was willing to pay Elvis more than double the going rate. Within a few days after getting Presley’s name on a contract, Sullivan’s publicity department sent out the following telegram to entertainment writers for dozens of the country’s leading newspapers. 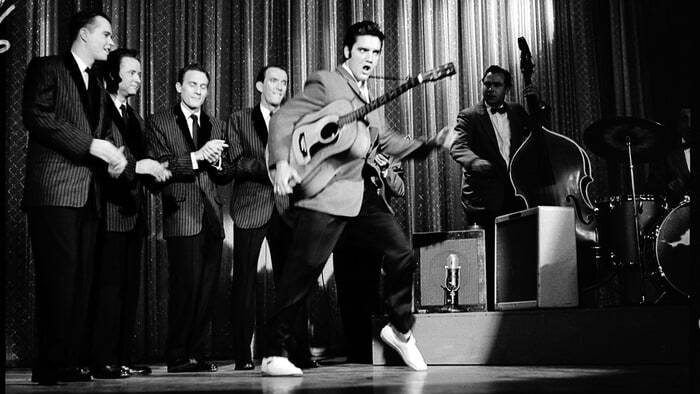 As the June 9 show date approached, the nation’s press could supply no clarity about what viewers would see, or not see, when Elvis Presley appeared on The Ed Sullivan Show. Would it be the “old” Presley seen on The Milton Berle Show or the “new” Presley unveiled on The Steve Allen Show? Ed Sullivan seemed to be signaling that it would be somewhere in between, and the uncertainty, whether engineered purposely by Sullivan or not, seemed sure to guarantee a mammoth audience for his Sunday night show. The program aired out of New York City, but both of the major figures were not there. Recuperating from injuries sustained in a recent auto accident, Sullivan watched the show at his Southbury, Connecticut, home. 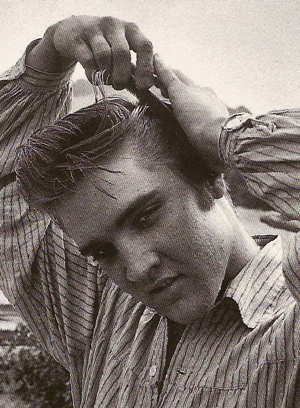 Elvis’s spots were dropped in live from Hollywood, where he was working on his first film, Love Me Tender. Actor Charles Laughton refereed the back and forth from New York. 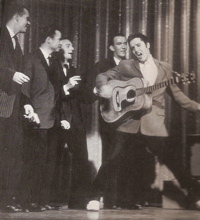 Elvis had spent all afternoon in California rehearsing his three songs with the Jordanaires and his trio of musicians. During rehearsals, Sullivan’s cameramen got some practice mixing long shots and close ups for the evening broadcast, which included a 350-person audience in Hollywood, 90 per cent of them bobbysoxers. The next morning, Harry Harris of the Philadelphia Inquirer provided an overview of Presley’s three segments. “He was all of a piece as he strode out in horse-blanket jacket and open collar shirt and went into his legs-apart, toes-turned-in singing stance. But then the camera soared to his waist and resolutely aimed there or higher, so that Elvis the Pelvis could just as well have been Elvis the Epigottis. 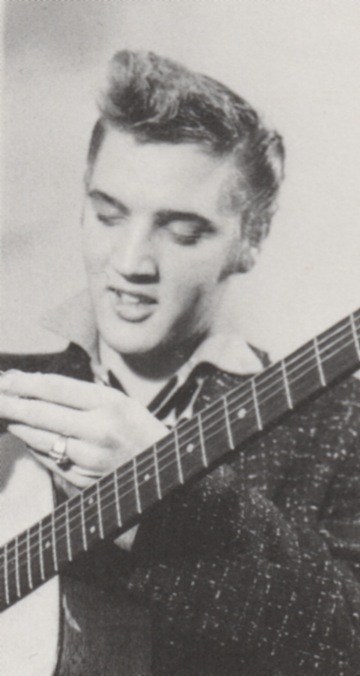 Judging from the girlish shrieks and shouts, a lot was going on out of camera range while Presley was singing ‘Don’t Be Cruel.’ Certainly it couldn’t have been his voice—or even his shoulder-twitching, forehead-wiping, lip-smacking or lip-licking—that inspired all the commotion. Or could it? 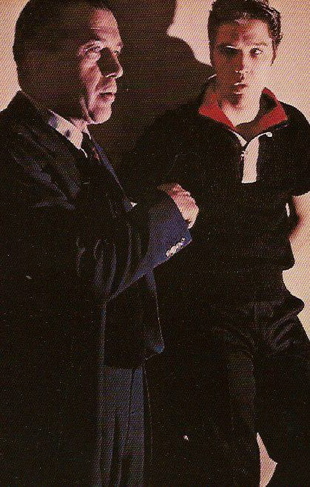 Graham also had a tough love message for Presley’s young fans. The overnight ratings were off the scale for Sullivan. Trendex gave the Presley show on CBS a 43.7 rating, NBC a 4.2, and ABC a 3.6. Granted, by running movies against Sullivan that night, the two competitor networks had thrown in the towel ahead of time. Still, the Sullivan show made history by being watched on a single network by more people than President Eisenhower drew during his acceptance speech at the Republican Convention on all three networks. 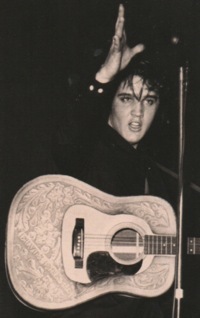 Elvis’s performance drew 82.6% of the nation’s TV audience. Ike drew 78.6%. There was a price to pay for Ed Sullivan’s decision to feature Elvis Presley on his program. The editor of the Muncie Evening Press was representative of some journalists whose respect for Sullivan had been diminished. "Mr. Sullivan’s decision to hire Mr. Presley was prompted by thousands of letters from teen-agers throughout the country asking him to have Presley appear on ‘The Ed Sullivan Show.'"